Last week, as Australians focused on visits by the leaders of two large countries  that will help shape our long-term strategic environment, a small country that forms part of that environment faced a more immediate test with its first national election since the departure of the military component of RAMSI. 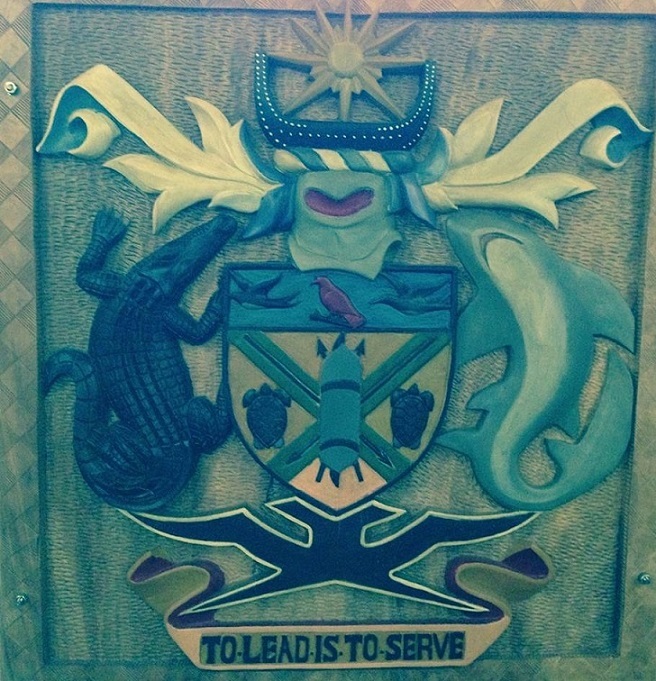 I was fortunate to spend a fortnight with the Solomons election-monitoring mission  run by the ANU’s State Society and Governance in Melanesia Program (SSGM) and Centre for Democratic Institutions (CDI). Detailed findings of its close study of a dozen electorates will be out soon (see the conclusions of similar studies of PNG’s 2012 election here ) but in the meantime let me offer some personal impressions. Although the 50 elected MPs are still negotiating who’ll be prime minister and in cabinet, and previous such manoeuvrings have sometimes triggered public disorder , most signs suggest these horse-trading and formation-of-Government processes will remain largely peaceful. And while 90 additional Australian, NZ, and Pacific police  were brought in to bolster the RAMSI Participating Police Force, they’ve been deliberately held in the background—with the Commonwealth Observer Group  commending the security arrangements planned and executed by Solomons Police. Other organisational aspects of this ninth election since Independence in 1978 worked pretty well too. In particular, it was the first to use a biometric registration system (provided by the same company that prepared the rolls for Fiji’s recent election). Past claims of multiple-voting have probably been exaggerated , but both anecdotal accounts and the high percentage of the voting-age population  who’d previously cast ballots suggest they weren’t entirely fictitious. The biometric system was expensive, but popular, and contributed to the poll’s credibility with voters. Less encouragingly, although most non-incumbent candidates (and many incumbents) campaigned on a ‘time-for-change’ platform, there’s little sign of movement beyond Solomons politics-as-normal. While we’ll have to wait to see whether ANU’s survey data confirms my hunch that there was less voter intimidation, I’m fairly confident money-politics  increased across the board. Nor, apparently, has the composition of those elected changed much. True, Prime Minister Lilo lost his seat. But the number of incumbents returned  actually grew from around half to 70%, with analysts attributing that growth to the scale and timing of sitting MPs releasing  their discretionary Constituency Development Funds and other monies. Again, only one  of the 26 women who contested was elected. And the new Political Parties Integrity Act , intended to stabilise parliamentary politics, hardly had any impact on the way candidates campaigned or voters voted. None of that will surprise those familiar with the Solomons’ acutely clientelistic  political culture. But, the results may further deepen a seemingly intractable cycle of electoral politics whereby rational choices by voters  seeking MPs’ personal assistance contribute to poor governance and reinforce those choices in turn. And they mean last week’s good electoral process won’t necessarily deliver the good government  the country urgently needs. The problem isn’t so much that leaders and voters don’t take seriously the national motto—‘to lead is to serve’—but rather that they do so at a profoundly local rather than national level. It might be unfair to condemn candidates’ provision of solar panels, roofing iron, school fees, or small-scale water and sanitation projects to constituents as merely ‘frittering away’ national wealth, since such help can be of real benefit to the poor. But the seemingly vast SI $6 million  available to each MP (often supplemented by income from business favours , and sometimes allegedly from corruption  or theft ) only translates to about A$50 per citizen each year—not enough to be individually transformative but cumulatively enough to sap state funding for roads, schools, and hospitals. If that seems an overly gloomy take on last week and the country’s prospects, it probably is. We saw some successful candidates speak passionately, persuasively and apparently sincerely about national issues, even as they vigorously transacted the sub-local hustle necessary to have a shot at winning. The low priority attached to policy issues doesn’t mean there’s no national consciousness. And we should keep in mind that it’s only a decade since Solomon Islands emerged from a debilitating conflict  that claimed 250 lives and caused near state-failure. The possibility politicians could again stir up rowdy protests, property destruction, and opportunistic or targeted looting doesn’t detract from the fact a return to nation-rending ethnic violence is unlikely. In this context and given our interest in regional stability, it’ll remain worthwhile to ‘hold the window of democratic space open ’ for local solutions to emerge over time. That’s partly a matter of preserving the security backstop currently provided by RAMSI police in some form, depending on the next Solomons government and Canberra’s assessment/funding from 2017. But, increasingly, it’ll also mean using energy, infrastructure, and governance enablers—including elections support—to help spur enough of an economic take-off to keep pace with population growth, land pressure, and social change. Karl Claxton  is an analyst at ASPI. Image courtesy of Karl Claxton.